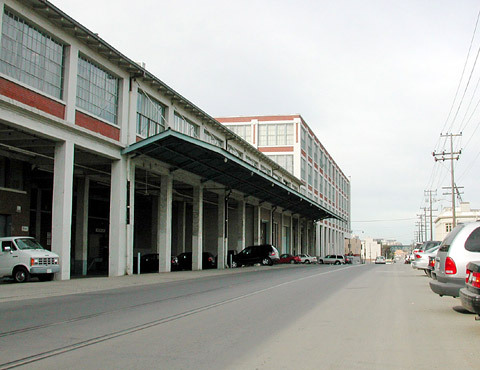 Industrial streets are defined by large-scale production, distribution, and repair facilities that have an assortment of challenging impacts on streetscape character. These streets typically have a less active street frontage punctuated by large driveways, loading docks, and other auto-serving facilities, and front on wide streets that accommodate large trucks. Sidewalks and streetscape amenities are often minimal. 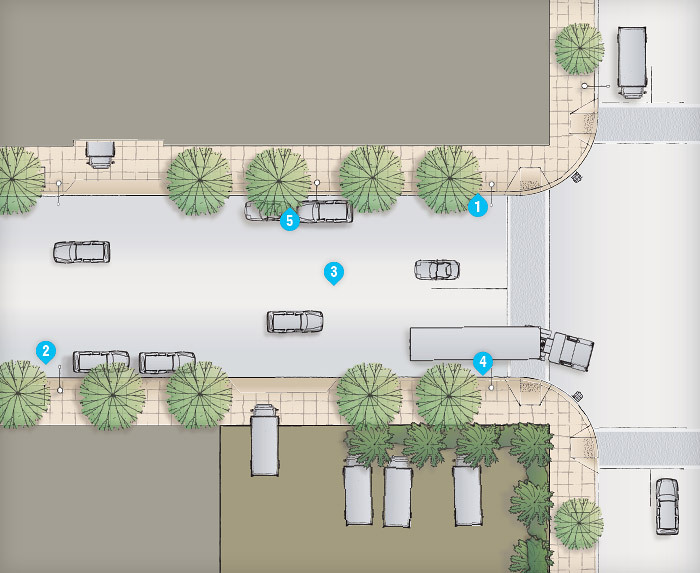 While these streets must serve heavy trucks and loading functions, they should also consider the pedestrian realm for workers and others passing through. 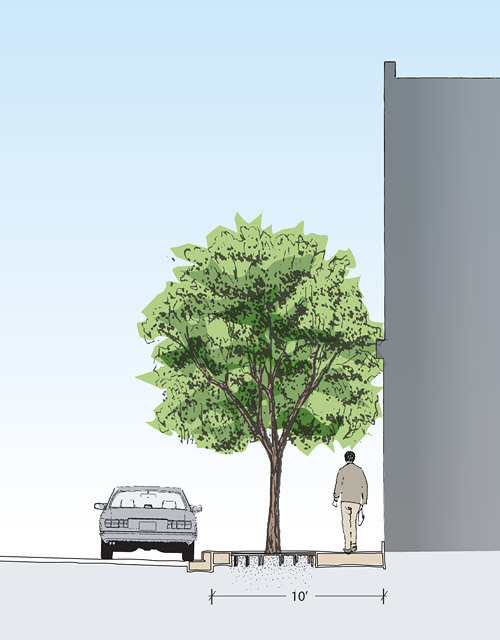 Industrial streets should use property line plantings and street trees where trees are not possible adjacent to the curb.